The Tile Doctor has been the leader in education and information for the tile industry for over ten years. 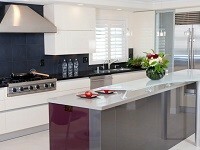 All of the years of experience and knowledge have been accumulated and turned into these innovative products. 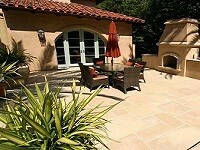 Natural Stone and Porcelain Tile are some of the most durable products that can be used in and around the home. The durability of these products does not necessarily mean maintenance free, which is where the wonderful products of The Tile Doctor come in. The proper sealing of natural stones, such as granite and marble can give critical reaction time in order to save surfaces from damage and staining. The newest product collection to come out of The Tile Doctor is not only effective, but environmentally friendly and safe. The green cleaners and sealers from The Tile Doctor are better for indoor air quality and more effective than many of the other products currently available on the market. Tile Doctor Shield is best described as an invisible layer of liquid glass covered with carbon nano-swords that allows a treated surface to remain free of microbial growth. Algae, Bacteria, Fungus, Mildew, and Mold are unable to survive on a surface that has been treated with The Tile Doctor Shield. 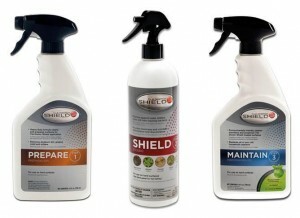 What sets The Shield apart from traditional cleaners is that the technology works around the clock and remains on the treated material for 90 days. 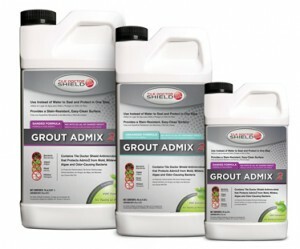 The Tile Doctor Grout Admix2 provides an easy one-step method to protect and seal your grout. The Admix2 not only strengthens the grout by replacing water with the Grout Admix2 but it also ultimately protects the grout. The Tile Doctor Grout Admix2 comes in both a Non-Sanded and Sanded formula, allowing it to be used for any scenario you might have. The Tile Doctor Grout Admix2 gives you the same stain resistance as most grout-sealers while shielding the grout from mildew and mold build-up as well. The Star-Like Crystal Grout from The Tile Doctor is a stunning translucent epoxy grout that is meant to pull the color of the surrounding glass mosaics. 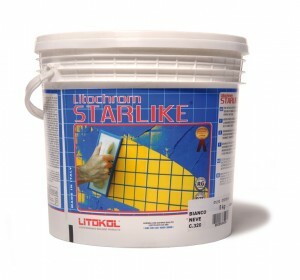 This patented 100% epoxy grout is not only stain-resistant but UV resistant as well. The grout is easier to use than traditional epoxy grout while utilizing the simple water clean-up formula and standard. Unlike a traditional epoxy, the Star-Like Crystal Grout has a low toxicity level and is not classified as a corrosive substance. Unlike other urethane glass grouts that are on the market, the Star-Like Grout can be used in all wet areas such as Hot Tubs, Pools, Spas, and Steam Areas.